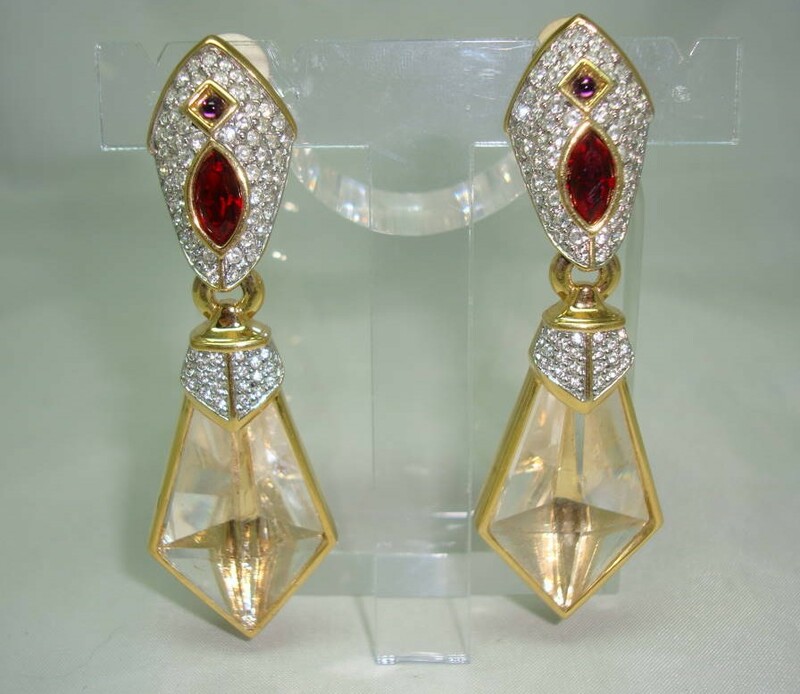 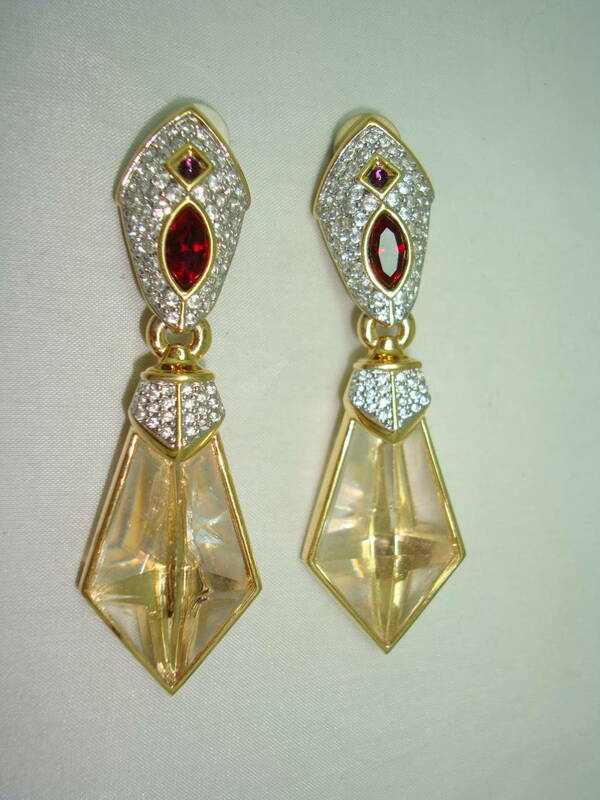 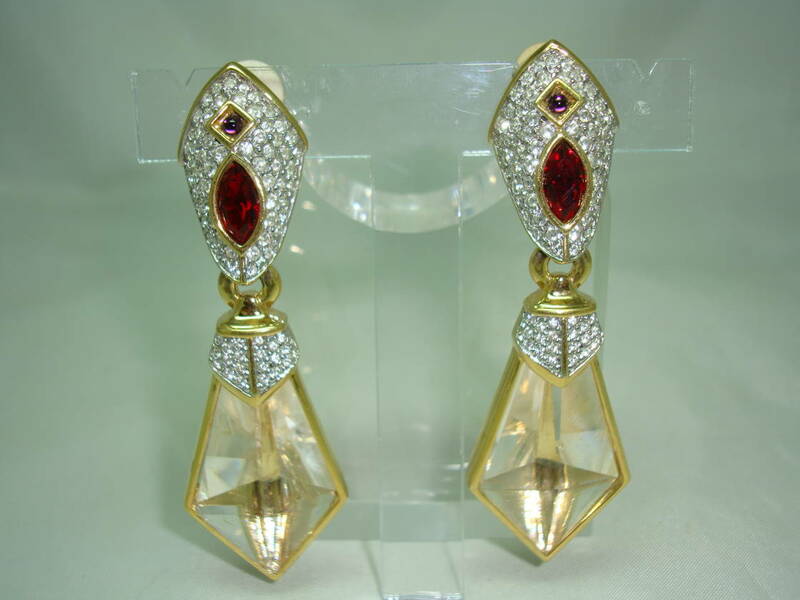 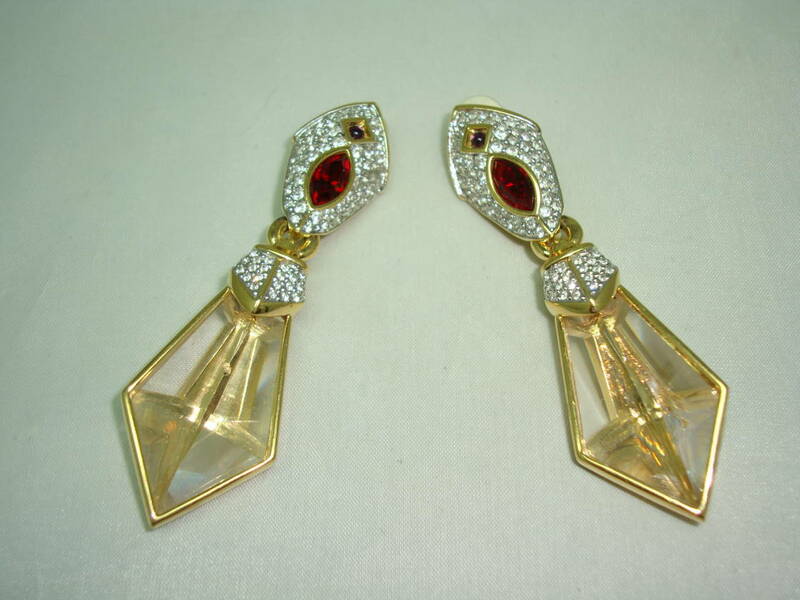 Amazing designer signed Swarovski red and clear crystal dangle drop gold plated clip on earrings which are just stunning. 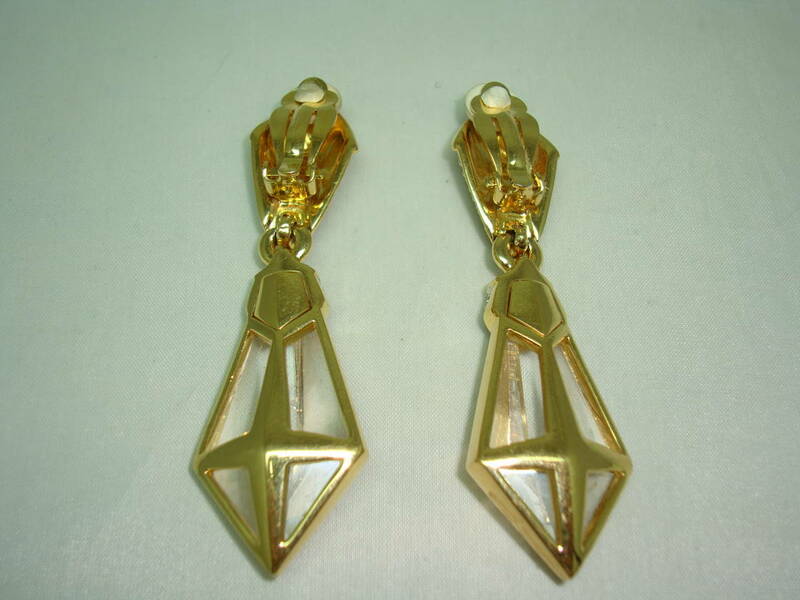 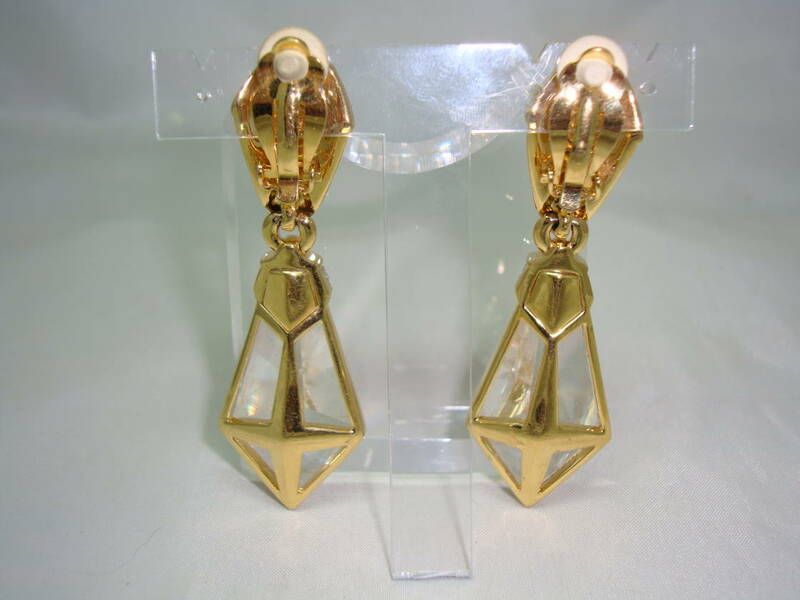 The earrings are brand new so are in excellent condition, very elegant and unusual. 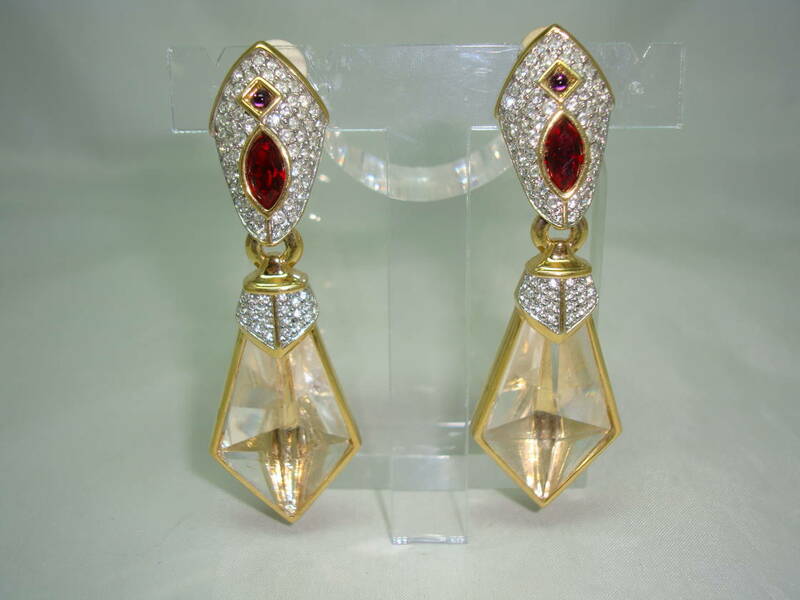 As you can see from the photos, the earrings are set with sparkling clear crystals set with small purple cabouchon glass stones and a larger red crystal stones on the top half of the earrings suspended to a large dropper set with sparkling clear crystals and a large champagne crystal coloured faceted crystal stone surrounded by a goldplated frame. 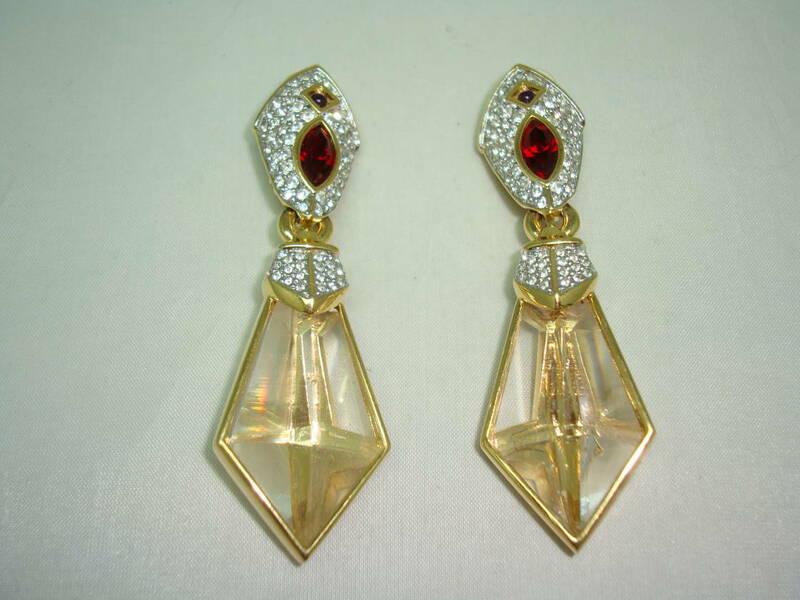 The reverse of the earrings are beautifully made and finished to the utmost quality as you would expect from Swarovski. 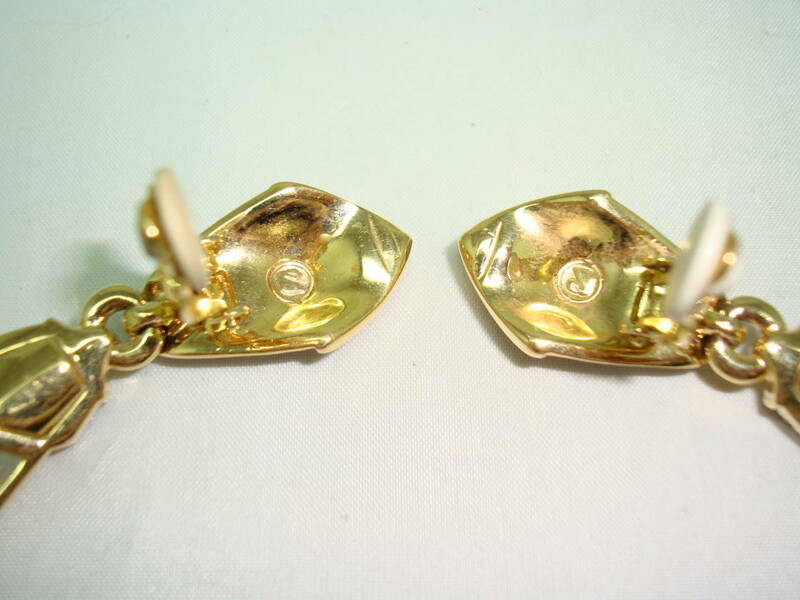 The earrings are stamped with the famous Swan mark on the reverse as shown. 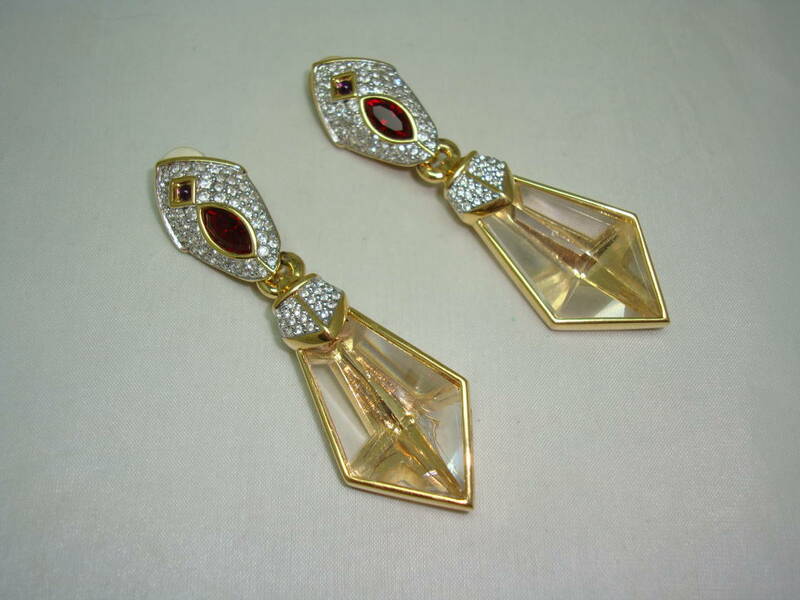 These truly are a fabulous quality pair of designer earrings which looks amazing on.